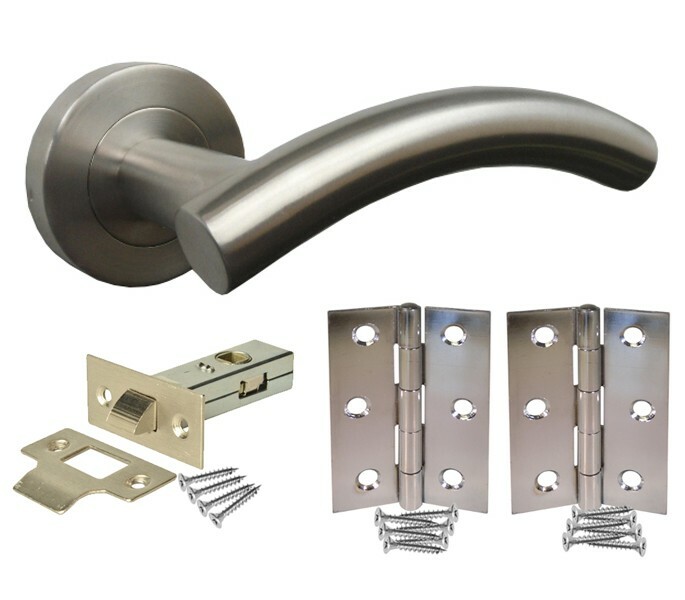 These striking door handle packs featuring a sublime arched lever on rose is the perfect choice for those seeking brushed steel door handle packs for any contemporary space. 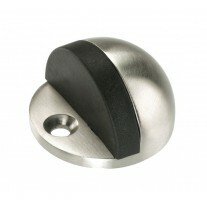 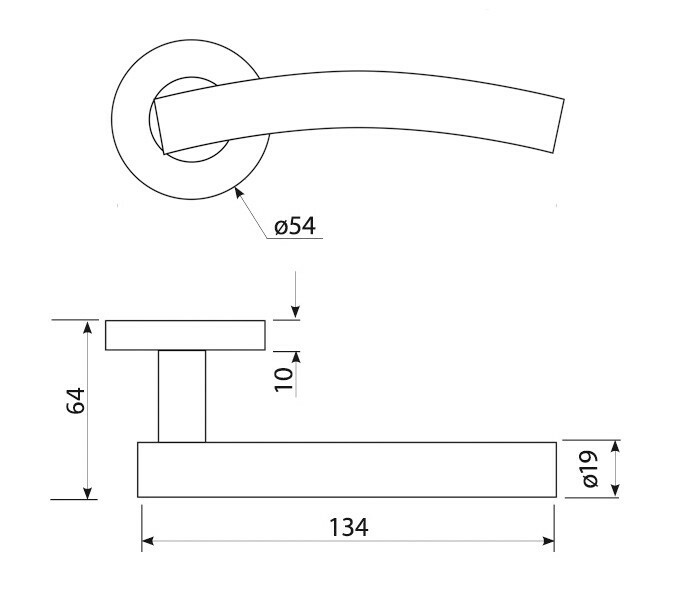 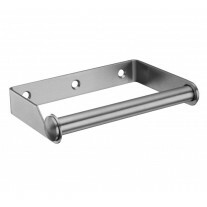 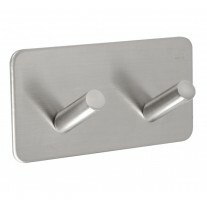 Our door handle packs are supplied complete with a handle pair, latch and hinge pair ready to fit to a new door. 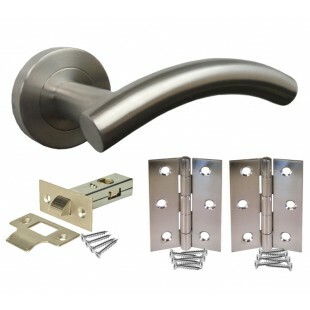 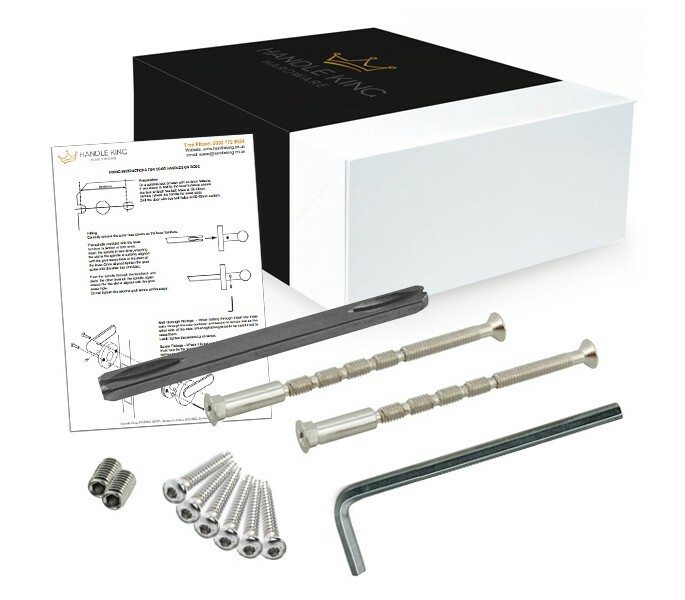 If buying new handles for an existing door and do not require the full contents of this pack, you can instead order the items required individually.